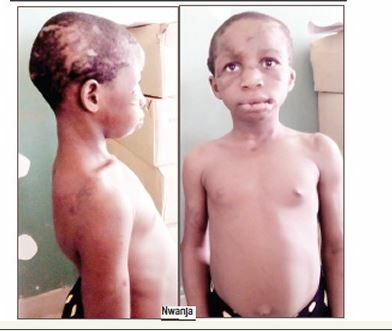 A 12-year-old girl, Faith Nwanja, has told officials of the Ebonyi State Ministry of Women Affairs and Social Development how she was subjected to inhuman treatment by her mistress, Mrs. Mrs. Nkechi Bartholomew. But Bartholomew allegedly disfigured the girl. Nwanja has shocking scars and injuries all over her body, including eyes. She also has bloodied mouth and has lost one of her hands to torture.